The Department of Home Affairs South Africa have huge challenges regarding marital status records. Changes to your marriage status take years to amend. This is not a typo (years not months). 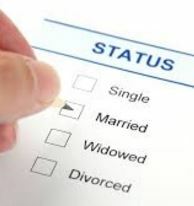 If you are planning on being married you should check your marital status asap. WhatsApp STATUS to 0836510787; details will be sent to your phone.